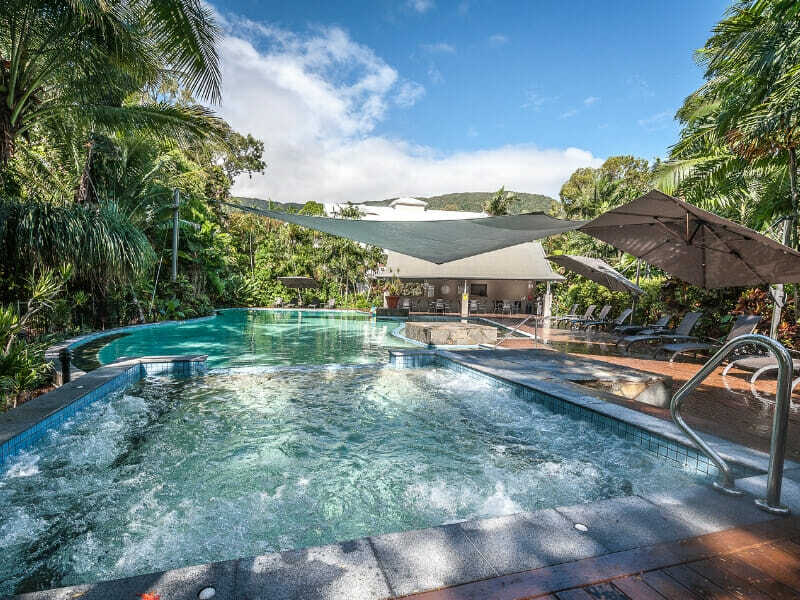 Find a home away from home in Palm Cove. 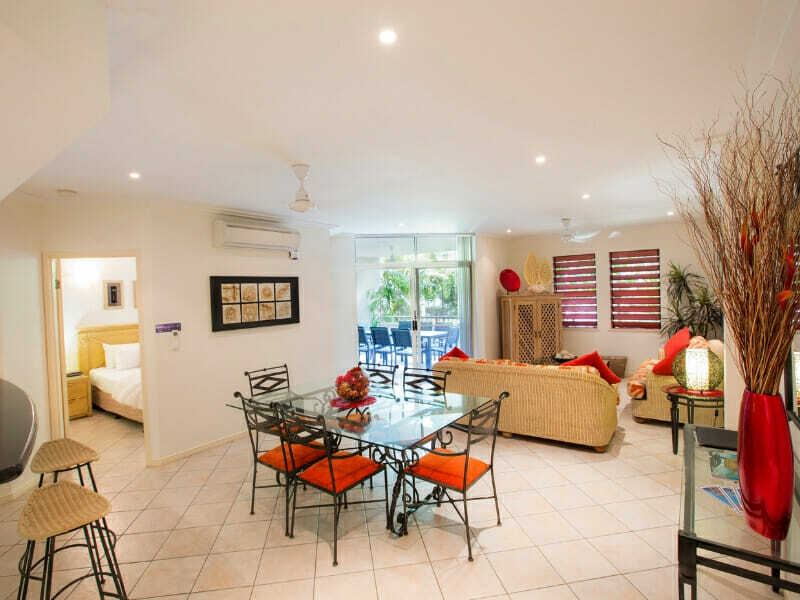 Kick back, relax and enjoy living space of your own at the Oasis at Palm Cove. This upscale resort offers an array of deluxe accommodation with lush amenities. Relax by the pool, delight in the outdoor views or revel in a sunset BBQ with your loved ones. 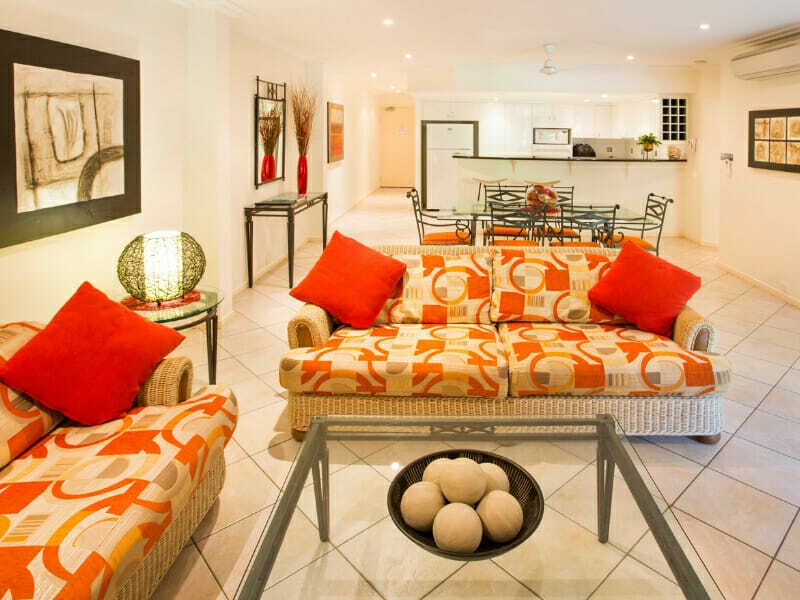 Oasis at Palm Cove is a stunning property that is a short stroll away from the sandy beach. The resort is complete with quality amenities, not to mention the staff’s excellent hospitality. Families who are travelling with children will have the perfect accommodation that offers plenty of space and modern comforts. Couples looking to have a romantic getaway will also have a pleasant stay with a cosy room overlooking a peaceful garden. 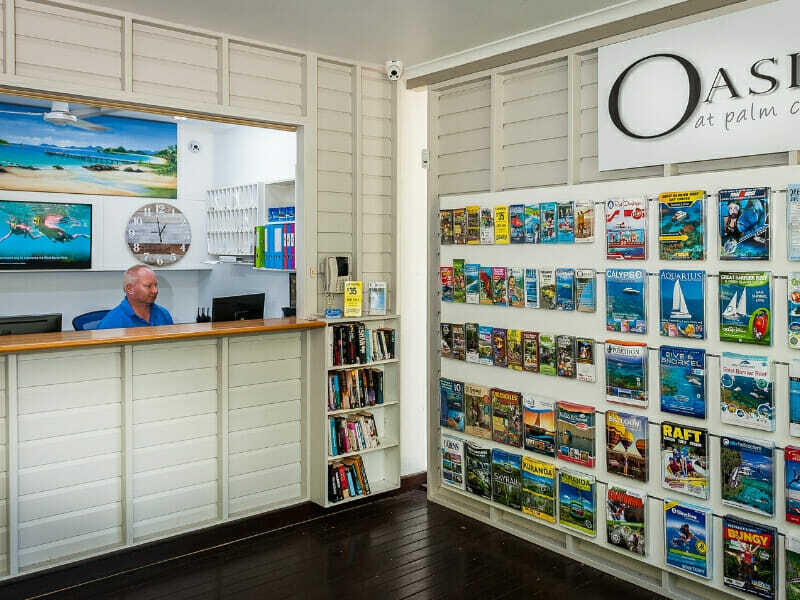 Why go to Oasis at Palm Cove? This sprawling resort offers contemporary self-contained apartments in a beautiful, laid-back setting. 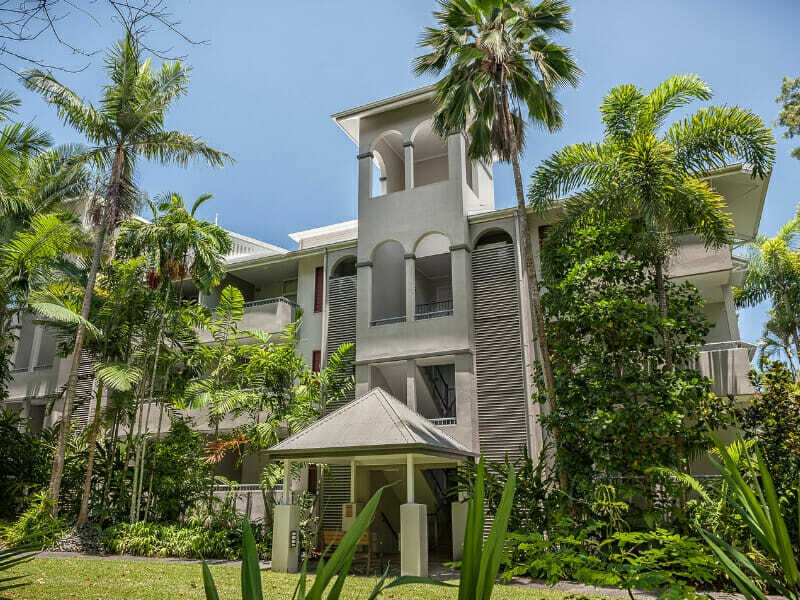 Surrounded by 2.5-acres of lush vegetation, Oasis at Palm Cove lives up to its name. Couples and families staying here can have all the space and comfort that they need for a relaxing retreat. Each self-contained flat features Wi-Fi access, an open-plan living and dining space, fully-equipped kitchen and dual balcony. This air-conditioned accommodation for 2 offers the ideal privacy and serenity. An apartment, this 1-bedroom flat comes with a King bed, flat-screen TV with premium channels and private laundry room. In addition, this accommodation offers scenic views of the lush gardens. 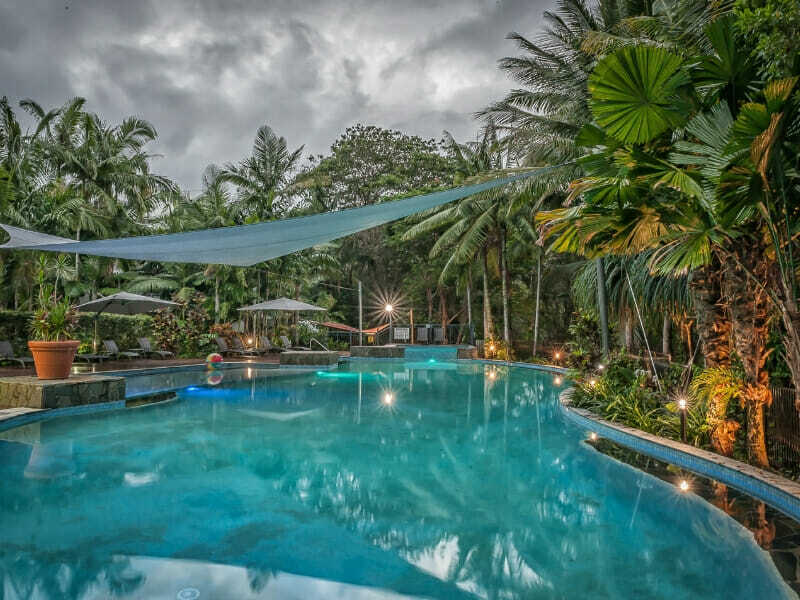 Set in a palm-fringed property and equipped with all the modern amenities, this studio flat makes any holiday truly memorable for many years to come. This 2-bedroom apartment is furnished with 2 King beds or 1 King bed and 2 Single beds, great for up to 4 guests. The flat also features Foxtel cable TV and laundry facilities. This accommodation for 6 features a tropical paradise right at its doorstep. It is equipped with 2 King plus 2 Single beds or 1 King and 4 Single beds, in addition to large en suite bathrooms. All bedrooms and living space are air-conditioned. Other amenities include a spacious outdoor seating area and a plasma TV with Foxtel cable. 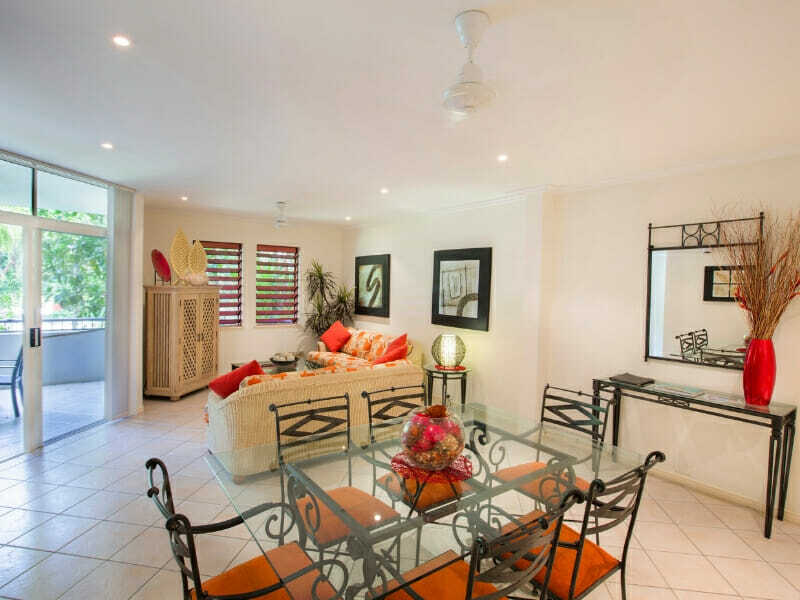 Oasis at Palm Cove’s strategic location, within a short stroll away from the sandy beach, provides your family with the perfect backdrop for the ultimate holiday. 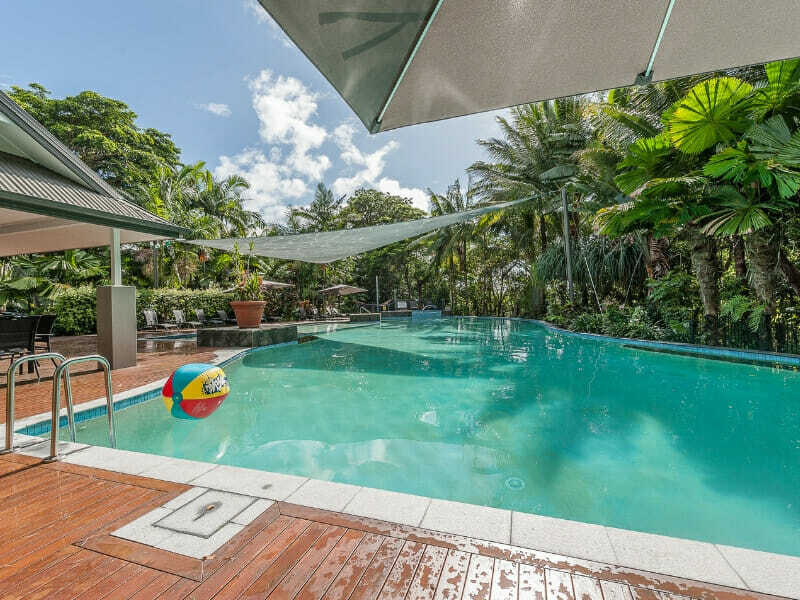 The resort, which is situated along McDonald Cl, is within a 25-minute drive of Cairns Airport. 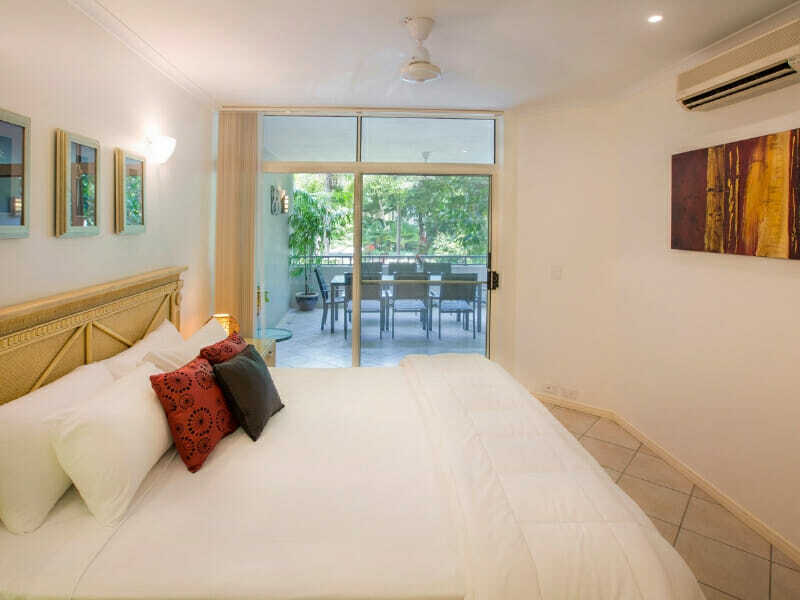 During your stay at the deluxe Oasis at Palm Cove, be sure to explore the Cairns CBD as well as the nearby cafés, restaurants and bars for gastronomical delights. Spend a day touring the Kuranda Koala Gardens, Hartley’s Crocodile Farm and Skyrail Rainforest Cableway. 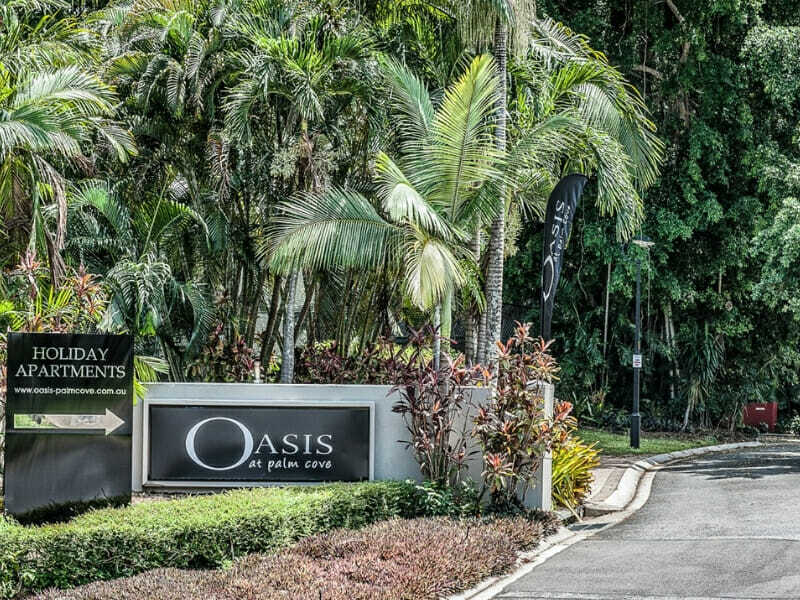 This was our 2nd time staying at the Oasis at Palm Cove and we loved both stays. Highly recommended for families who just want to kick back and relax!